This isn’t an indictment of the Four, or retribution, but recognition that a key part of a healthy economic cycle is pruning firms when they become invasive, cause premature death, and won’t let other firms emerge. I've benefited enormously from big tech. Prophet, the consulting firm I cofounded in 1992, helped companies navigate a new landscape being reshaped by Google. Red Envelope, the upscale e-commerce company I cofounded in 1997, never would have made it out of the crib if Amazon hadn’t ignited the market’s interest in e-commerce. More recently, L2, which I founded in 2010, was born from the mobile and social waves as companies needed a way to benchmark their performance on new platforms. The benefits of big tech have accrued for me on another level as well. In my investment portfolio, the appreciation of Amazon and Apple stock restored economic security to my household after being run over in the Great Recession. Finally, Amazon is now the largest recruiter of students from the brand-strategy and digital-marketing courses I teach at NYU Stern School of Business. These firms have been great partners, clients, investments, and recruiters. And the sum of two decades of experience with, and study of, these companies leads me to a singular conclusion: It’s time to break up big tech. Over the past decade, Amazon, Apple, Facebook, and Google—or, as I call them, “the Four”—have aggregated more economic value and influence than nearly any other commercial entity in history. Together, they have a market capitalization of $2.8 trillion (the GDP of France), a staggering 24 percent share of the S&P 500 Top 50, close to the value of every stock traded on the Nasdaq in 2001. Read the full article as published in Esquire. 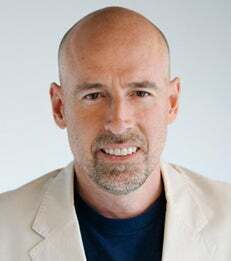 Scott Galloway is a Professor of Marketing.